Power meters measure a cyclist's strength, but this revolutionary training technology can benefit everyone, not just the most powerful riders. 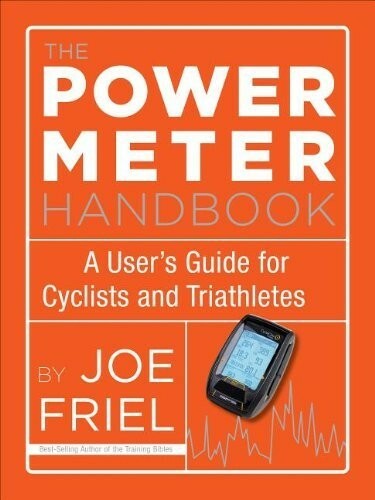 In The Power Meter Handbook, the most trusted coach in endurance sports offers a simple user s guide to help cyclists and triathletes master the fundamentals of training with power. Friel shows cyclists how to sift through noisy data to focus on just the most important measurements. Armed with the techniques they need to know, riders will master power training concepts, accurately interpret their data, and learn how to harness this revolutionary technology to earn big performance gains from their day-to-day training. In simple language, the most trusted coach in endurance sports makes understanding a power meter easy, no advanced degrees or tech savvy required. Cyclists and triathletes will master the basics to reveal how powerful they are. Focusing on their most important data, they ll discover hidden power, refine their pacing, and find out how many matches they can burn on any given day. Once they understand the fundamentals, Friel will show how to apply his proven training approach to gain big performance in road races, time trials, triathlons, and century rides. Power meters aren t just for the pros or racers anymore. The Power Meter Handbook makes it easy for any cyclist or triathlete to gain a deeper understanding of their performance and get ready for new challenges.